Prefill Braking is a safety feature that anticipates your next step – literally. 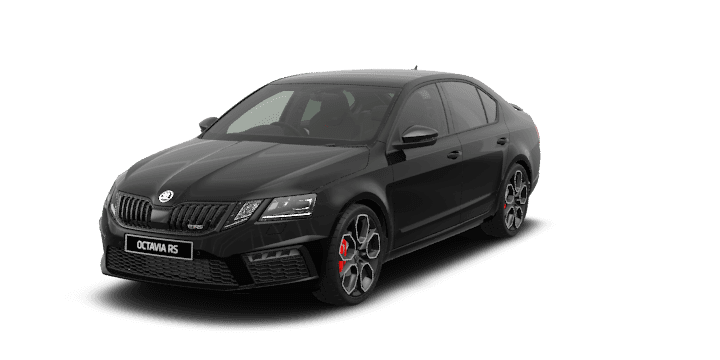 The OCTAVIA RS & RS 245 can recognise when you may be about to brake sharply and prepares by ‘prefilling’ the brake hydraulics with fluid. It also brings the brake pads closer to the discs, helping you stop safer, sooner. Ever noticed how when your mind starts to wander, so does your car? Lane Assist+ uses a camera positioned within the rear-view mirror unit to actively recognise lane markings and, if you begin to stray, take corrective action to gently steer you back on course. It will also send audible and visual messages if you need to take additional action. Only available on RS 245 as part of Luxury Pack. Not available on RS. Here’s a feature you might not have seen coming. Side Assist (Blind Spot Detection)**+ helps you change lanes safely by letting you know if there are any vehicles in your blind spot. If so, an LED symbol in the side mirror will light up, and start flashing if you indicate in the direction of the vehicle. It also takes corrective action if there is a car in your blind spot. Only available on RS 245 as part of Luxury Pack. Not available on RS. We hope you never need the nine airbags that come standard in every OCTAVIA RS & RS 245. They’re located at the front, front side, curtain, and driver's knee area. Overseas image shown. 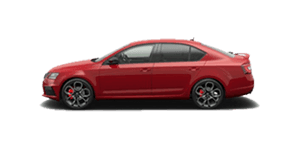 As you get to know your OCTAVIA RS & RS 245, it gets to know you, too. Driving Mode Selection** adapts engine torque, accelerator sensitivity, power steering, headlight control (where AFS is fitted), DSG transmission, and air conditioning to your preferences, across four driving modes – Normal, Sport, Eco, and Individual. 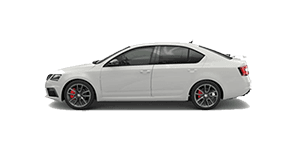 If you’re after trip information, the OCTAVIA RS & RS 245 puts it all on display. Enjoy a colour multifunctional display system that provides additional vehicle information including everything from oil temperature to phone, audio, Driver Assist Systems and navigation data.